Dogs investigate through smelling and tasting. 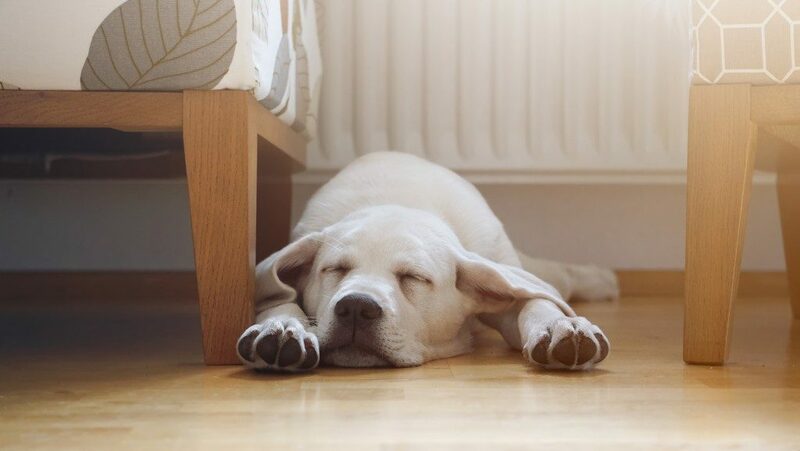 Before bringing your little friend home, puppy-proof your house. Fix and cover any loose electrical wires and cords that may be lying around, get rid of any poisonous house plants, and keep the trash cans covered. Also avoid leaving bags, shoes, and clothes hanging around to prevent the puppy from chewing them. Create lots of space for the puppy to play in, too. You may also need to get a crate for use when house-training the puppy to help keep it safe when you are not around. Note, though, that this should not come off as a punishment method but as a haven for it when there is no one around. Other than keeping the home safe, purchase all necessary accessories and toys for your canine’s enrichment. Once you acquire a puppy, it becomes part of your family. Hence, every member should know how to handle it correctly, treat it kindly, and feed it. Set ground rules for everyone, especially children, as dogs when provoked can harm humans. Everyone should learn the basics, know what they can or cannot feed the puppy, and get familiar with the feeding schedule and its basic routine. The food should be of the right amount, depending on the puppy’s changing weight. Puppies come with all the energy and the needs of a young being. When they come home, they are not socialized or housebroken. Hence, your puppy needs to learn how to interact with other dogs, obey simple commands, and go potty. House-training should start between three and four months. In some cases, the breeder will have socialized the puppy, and the sessions will be a continuation so that it can adjust to the new environment. By six months, introduce your puppy to formal training. What it learns at the juvenile stage helps to solidify adult behavioral patterns. It takes patience and consistency to house-train a puppy, and you are better off booking professional puppy training in Utah for age-appropriate lessons. With short training classes and gentle methods that include positive reinforcement, the puppy should show progress in no time. Wherever you will get the puppy from, you should ensure that you get all necessary certification and up-to-date records on any vaccinations. You will then bring these to your regular vet to schedule any other essential appointments. A puppy requires regular deworming, and you will also have to neuter or spay it when the time is right. Discuss these with your vet to establish a fitting schedule and also get information on the best way to care for the pet. Bringing a puppy home before you are ready could be devastating for you, the owner, and the pet, too. Putting forethought into the process prepares your home and family for a warm reception. When the puppy is comfortable, the transition will be smooth, and you can look forward to a fulfilling experience with your growing dog.